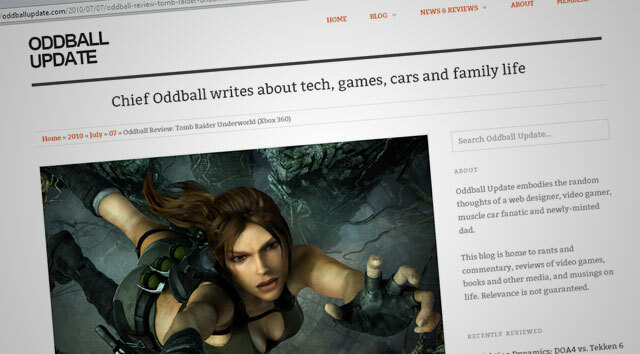 News and notes about the inner workings of the Oddball Update. Little more than 24 hours after initially expressing my dissatisfaction with the direction this blog’s design had taken it, I completely gut the whole thing and slap a new design on it. As I’ve grown accustomed to saying lately, “I’m probably crazy.” At the very least, the late hour until which I’ve sat up tonight is certainly pretty crazy. Today I’d like to announce the launch of Singuloddity, a new companion to the Oddball Update that I’m referring to as a “microlog”. It’s a place for me to post spur-of-the-moment topics based on things that are happening right now. To say that a period of life changes is upon me now that we have a newborn at home is, obviously, an understatement. But there are changes afoot here at Oddball Update as well, and I thought I’d better mention at least a couple of them lest someone become…concerned.